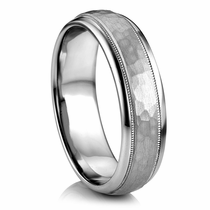 ArtCarved is one of America's oldest surviving wedding band manufacturers. Established back in 1850 by J.R. Wood & Sons with their first diamond engagement ring. They called their first ring the VICTORIA, and it immediately became a very popular engagement ring with women. 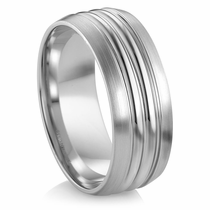 In the 1890's, J.R. Wood & Sons developed the soldered seam method, which allowed the creation of the first seamless wedding band. In 1909 ArtCarved, created the first catalog with hand drawn illustrations of wedding ring styles. 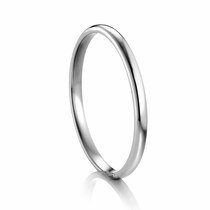 This ...read more allowed engaged couples to choose from hundreds of styles of rings from the comfort of their own home. This was another ArtCarved first! 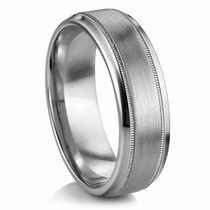 Choosing a reputable designer for your wedding band is a must. 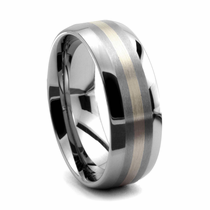 That�s why so many customers choose an ArtCarved ring for this special occasion. 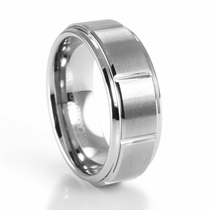 If you want a ring that comes from a company with a long and impressive history, consider getting an ArtCarved wedding band. 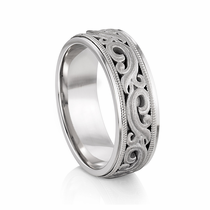 ArtCarved is one of America's oldest wedding band manufacturers. Established in 1850 by J.R. Wood & Sons, the company�s first diamond engagement ring was called the �Victoria.� It immediately became a hit with engaged women. 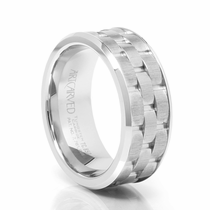 In the 1890s, J.R. Wood & Sons developed the soldered seam method, which led to the creation of the first seamless wedding band. Other notable moments in ArtCarved history include creating the first engagement ring and wedding band catalog and designing the ring for Elizabeth Taylor�s engagement to Conrad Hilton. Despite many changes in styles and ring design over the years, ArtCarved has continued to remain one of the top engagement and wedding ring designers and manufacturers. 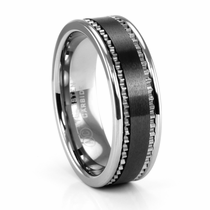 Today, their rings are made with modern materials and styles that any bride or groom will love. 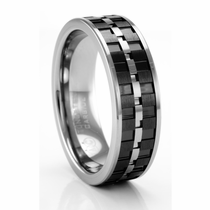 Whether you prefer a masculine black ArtCarved titanium ring or an ArtCarved palladium ring with lots of shine and luster, you�ll find what you�re looking for at Titanium Jewelry. These are rings for fashion-forward individuals who appreciate distinctive styling and high quality in their accessories. Because each ArtCarved ring material is carefully selected, you can count on these rings being just as durable as the other pieces found at Titanium Jewelry. In fact, you�ll get a 5 year warranty with any purchase to guarantee the long-lasting durability. Plus, the 30-day money-back policy ensures that you�ll be satisfied with your purchase. 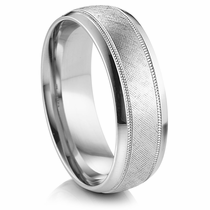 After all, few jewelry pieces require the combination of style, durability and meaning as a wedding band. 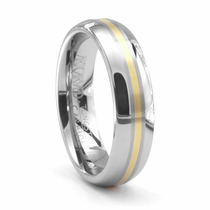 Shopping for ArtCarved wedding bands in 14k white or yellow gold? Or a ladies beautiful ArtCarved diamond engagement ring? Then you need to check out our sister site, YatesJewelers.com. Same company, same great folks. And ArtCarved experts since 1988. 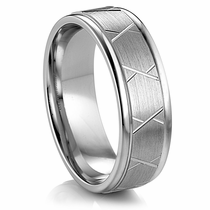 Shop ArtCarved 14K gold wedding bands and engagement rings. 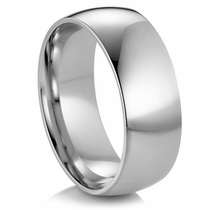 Customer rating for ArtCarved Wedding Bands by Titanium Jewelry: 5 of 5 based on 31 customer reviews.